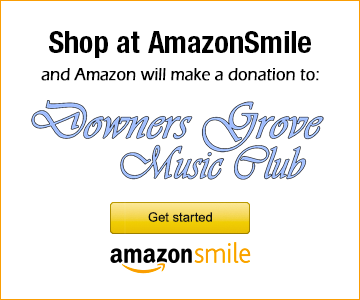 Shop on Amazon Smile and Amazon will make a donation to Downers Grove Music Club! Amazon is one of the most widely used shopping websites in the world. 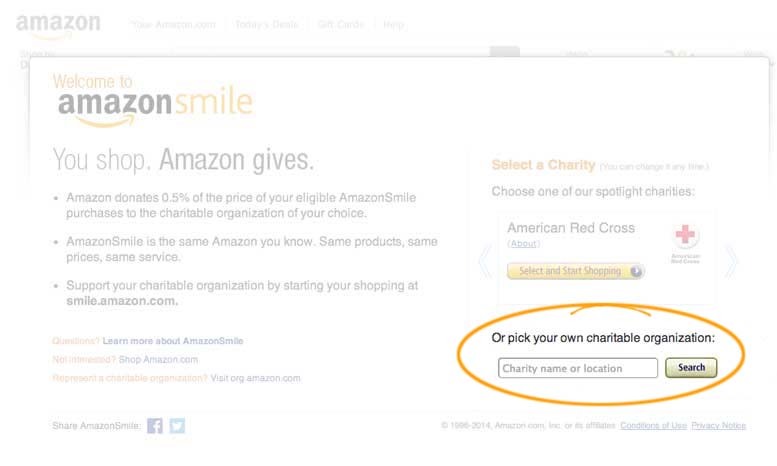 And now customers can elect to have Amazon donate 0.5% of their purchase to the charity of their choice at no cost to the customer. This is all made possible by shopping on smile.amazon.com. 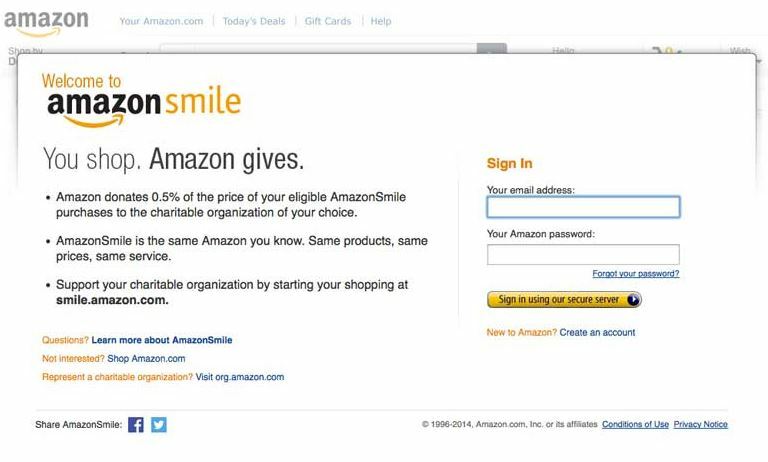 If you already shop on Amazon, we invite you to shop at smile.amazon.com and choose Downers Grove Music Club as your charity of choice. Below you can learn how to use Amazon Smile. The screen will look slightly different depending on whether or not you’re already signed into Amazon. If you’re already signed in, you’ll see a screen like the one below. Simply search for “Downers Grove Music Club” in the text box (circled below) and proceed to step 3. If you’re not signed, enter your regular Amazon email address and password. Then proceed to step 3. After signing in, search for our music club by typing “Downers Grove Music Club” in the text box. When you select the search button, you will be given a list of possible matches. Select our music club as your charity of choice to continue. Note that you can change your charity selection at any time. Once selected, you can begin shopping normally. You'll also receive an email notification confirming our music club as your selection from Amazon Smile, plus see Supporting:Downers Grove Music Club displayed near the top of the Amazon Smile webpage just below the product search box. Once you’ve selected your charity, just shop as in the past. Most Amazon products are eligible on Amazon Smile–if not, you’ll be notified. The checkout works normally as well. You will not incur any extra cost for using Amazon Smile – however, Amazon will donate 0.5% of your purchase to Downers Grove Music Club or other charity of your choice! After completing a purchase on Amazon Smile, you can even share the news about how you can shop and donate with your friends on Facebook, Twitter or via email. This option appears on the confirmation page after your order is complete. We hope you will take the opportunity to support Downers Grove Music Club while shopping on smile.amazon.com. Even if you’re not ready to make a purchase, consider setting up your charity selection right now! Then you'll be ready to support the Downers Grove Music Club next time you shop on Amazon Smile.